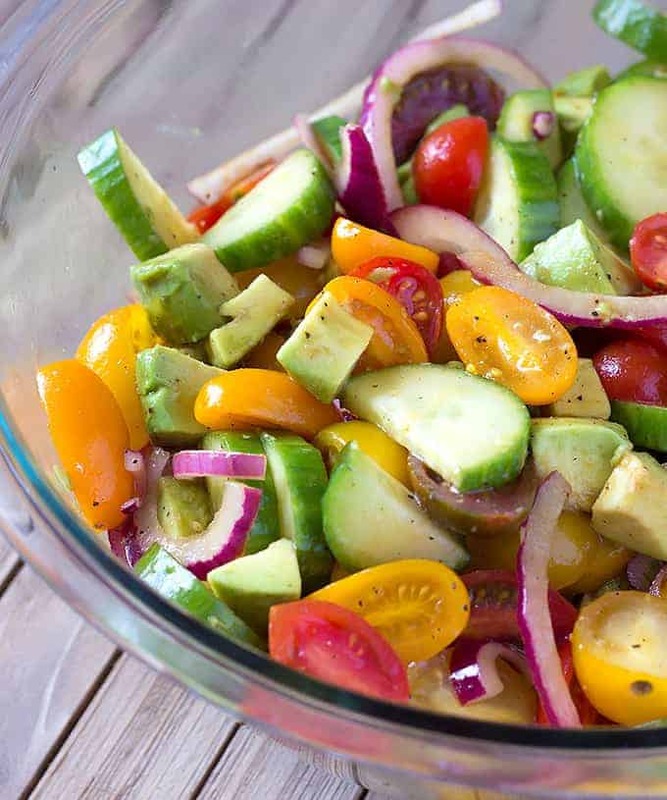 Avocado Cucumber Tomato Salad with Balsamic Vinaigrette – The perfect bright & fresh Summer Salad! This salad is so good! I love the crunchy veggies paired with the creamy avocado and topped with a tangy homemade balsamic vinaigrette dressing. This Summer salad can be made in just a few minutes. 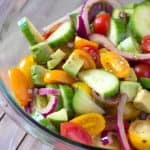 Avocado Cucumber Tomato Salad with Balsamic Vinaigrette is the perfect bright & fresh Summer Salad! It's crunchy, creamy, and tangy. 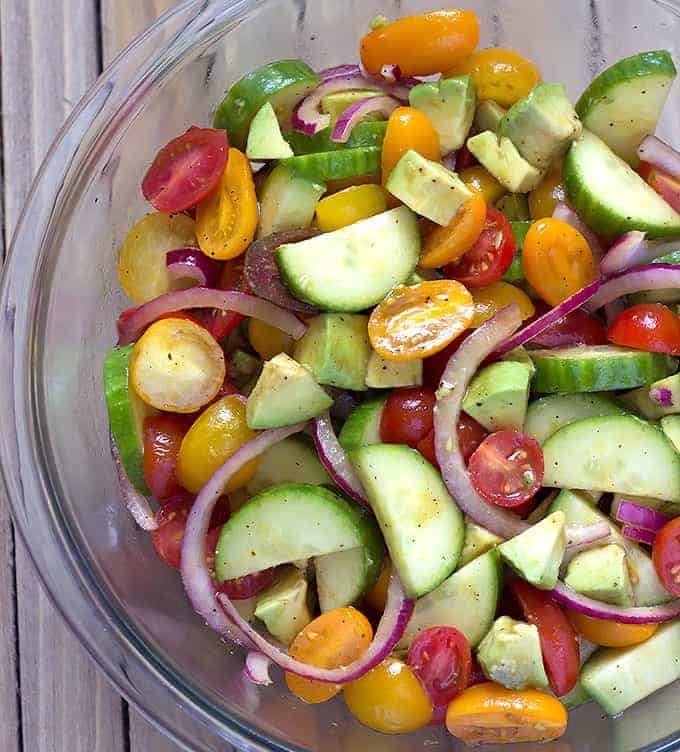 Add the tomatoes, cucumber, red onion, and avocados to a large bowl. In a medium bowl, add the olive oil, vinegar, honey, salt, and pepper. Whisk until well combined. Pour the dressing over the vegetables. Stir gently. If making this ahead of time, don’t chop the avocado until just before serving and keep the salad and the dressing separate. Just before serving, chop the avocado and add it to the salad. Then, add the dressing. Looks so good. Can’twait to try it. This sounds like my kind of salad, everything I love. Im looking forward to making it. This looks so fresh, yum!